The greyscale photograph can be found in a collection in Barnsley Archives (A/801/N/19/13). There are also some images of the inside of the chapel, one of which shows the tablet in situ. 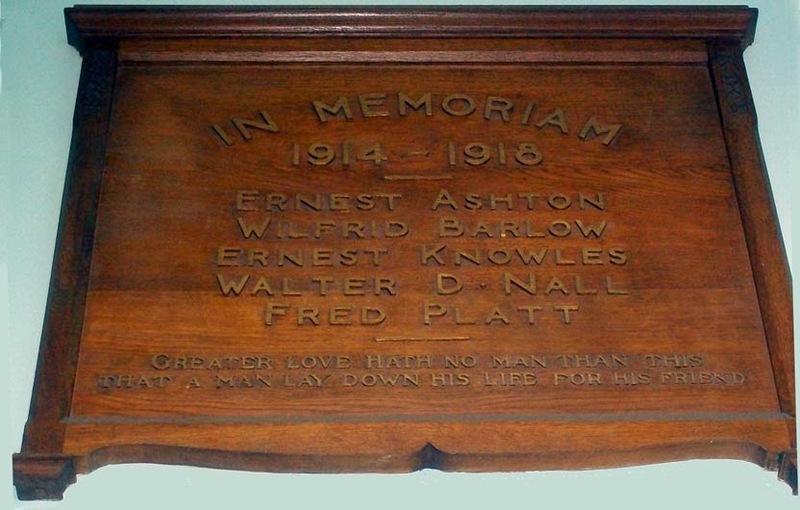 The tablet was photographed by JD in April 2014 in St Andrew's Methodist Church in Penistone. It can be found very high up on the stairwell wall just inside the entrance to the church. Thanks to the Rev David Hall for permission to photograph this tablet. Further information about the original chapel, which is on Huddersfield Road on the outskirts of Penistone, and is now a private house can be found here. It has been known as the Netherfield Independent Chapel, the Netherfield Congregational Church (in our period) and the Netherfield United Reformed Church. 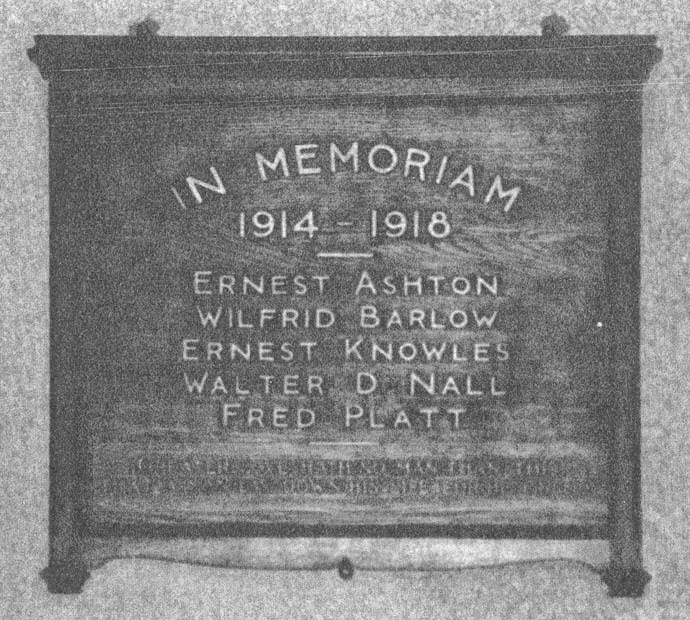 Note that the newspaper cutting gives Walter's name as Walter B Hall and Fred is Fred Platts with an s.
As all five of the names including Walter D Nall and Fred Platt (no s) also appear on the Penistone War Memorial I think we must assume the newspaper report is incorrect.